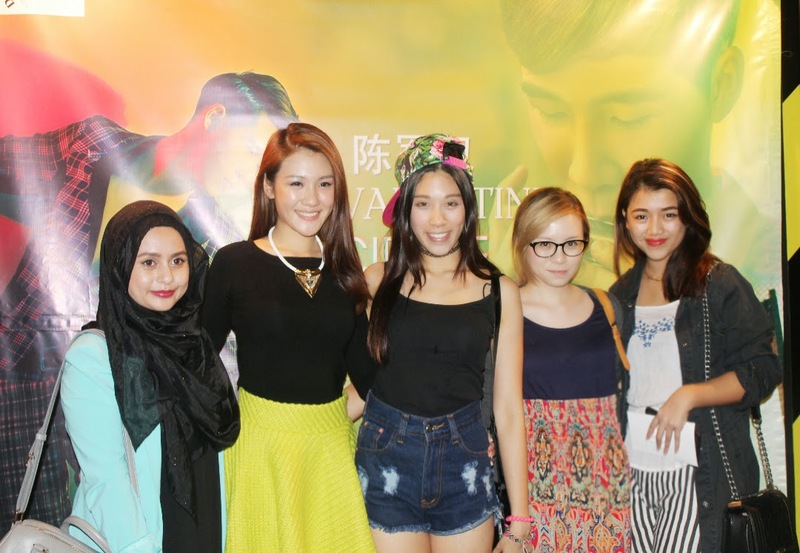 Sabby, Elvina, Casey, JQ and myself (we're bloggers of course) together attended the event! Last Wednesday, I was invited to a concert by KIF Valentine. My first thought of him was oh he is cute, does he sings? But to my surprise, he does not! He held a concert with purely just harmonica which explains in the poster why is he playing a harmonica, it’s odd and something fresh to me because I haven’t never been to a concert that’s purely just harmonica. Ofcourse, like any other mainstream music lover like anyone else, I ought to feel a little hesitant because I didn’t know what to expect. Purely harmonica? I don’t think I can enjoy that much, and guessed what? I was wrong! Lets do a little background of this talented individual shall we? KIF, he was crowned as the world harmonica champion title, as World Class Harmonica Meastro. His aim through this concert is to break stereotype impression of the general public towards Harmonica music. mhmm, he did break it from my opinion. But, that concert blew my mind away, I don’t mean to exaggerate but it kinda did blew my mind away like how can a harmonica concert be this interesting be this, enjoyable. He was playing a lot of my favourite love songs, which explains his stage name with “valentine” because he likes to play love songs and his birthday falls on Valentine’s day! Interesting fact uh-huh. I was a little curious on how does a small harmonica can play such great and difficult songs, I don’t remember seeing anyone can play harmonica that good, I was overwhelmed by his concert honestly. He made his audiences enjoy his harmonica tunes with varieties of song choices from country, soft songs and pop as well and mostly love songs, probably 98 percent of his songs. My favourite from him would be “Love on Top by Beyonce”. A little magic performance between the break which wowed us all. Protect Your Skin With Dettol!